The chances are if you're looking for the Virgin fibre checker you're thinking of getting fibre for your business. The Virgin fibre checker allows you to search for Virgin's fibre services. What does the Virgin fibre checker do? Virgin has two business fibre products called Voom Fibre and Managed Internet Access. The Virgin fibre checker only checks availability for Virgin services. If you want to compare all fibre providers (not just Virgin Voom or Managed Internet Access) at your business location, you would be better off making a whole of market comparison with the Amvia fibre checker. What is Virgin Voom Fibre? Voom Fibre is Virgin's business broadband product. It offers up to 350Mbps downloads and up to 20Mbps upload for £50.00/month. The service does not have usage restrictions offering unlimited data downloads.  There is a fixed IP option available, and five fixed IP addresses cost £5.00/month. A Hitron WiFi Router is included in the price. The standard service level contains a 24hrs fault fix time; you can upgrade to a 12hrs fault fix time for an additional £5.00/month. Voom Fibre is a shared or contended service, and that's how it differs from Managed Internet Access (MIA). What is Virgin Managed Internet Access? 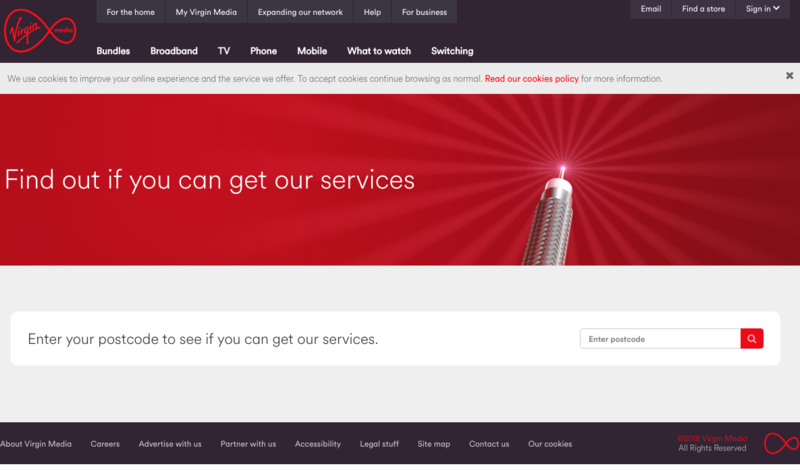 Managed Internet Access is Virgin's leased line fibre service. The speed capability is massive offering up to 5Gbps download and 5Gbps upload. Usage is unlimited and fixed IP ranges are available when you order the service. A fully managed Cisco router is included with a 6 or 9hrs fault fix time SLA. Managed Internet Access is only available to order on a 36 month contract. How does the Virgin fibre checker work? When you use the Virgin fibre checker, you check your postcode and phone number. Voom and MIA are only available at locations where Virgin has constructed its network. 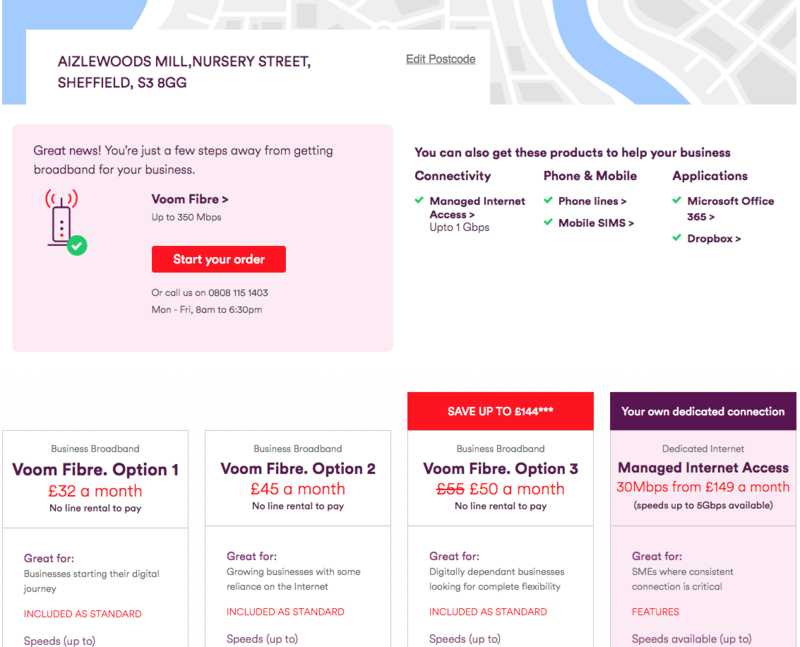 If the Virgin fibre checker shows that Voom or MIA are available, you can select which of the four options you wish to buy. This is often where the trouble with Virgin starts. On the surface the offerings look great, but the delivery of the services are often challenging at best.